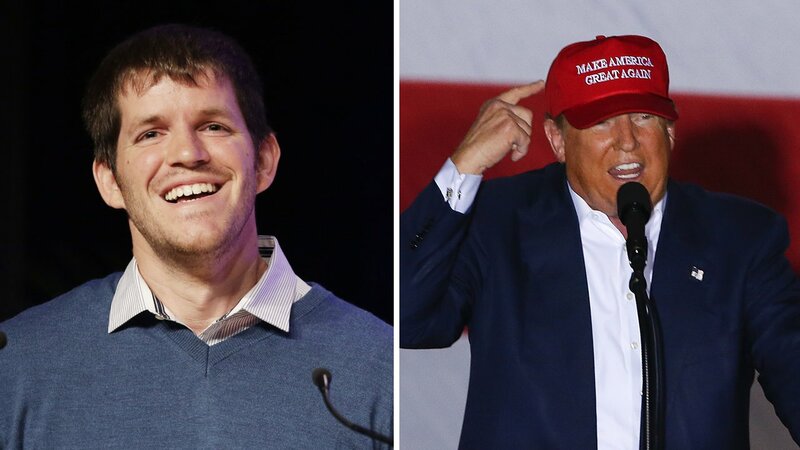 NEW YORK (WABC) -- The creator of "Humans of New York" has written an open letter to Republican Presidential Candidate Donald Trump - and the post has gone viral on social media. Brandon Stanton is the person behind the uplifting photo series that usually features stories of New Yorkers. But his post Monday was intended to make a statement, and for once featured no photo. Stanton said he's tried to stay away from politics - but he could no longer stand by and not take a stand against "violence and prejudice." "Because along with millions of Americans, I've come to realize that opposing you is no longer a political decision. It is a moral one," Stanton wrote. Stanton went into detail as to why he thinks Trump is hateful. "I've watched you retweet racist images. I've watched you retweet racist lies. I've watched you take 48 hours to disavow white supremacy. I've watched you joyfully encourage violence, and promise to 'pay the legal fees' of those who commit violence on your behalf." In less than one hour, the Facebook post has already been 'liked' nearly a half-million times, and shared more than 130,000 times. Eyewitness News reached out to Donald Trump via Twitter to see if he had any comment on Stanton's statement. We'll update this post if we hear back. What do you think about Stanton's post? Tell us in the comment section below.